SAN DIEGO - A 1998 Monache High School gradate and Porterville, California, native is serving in the U.S. Navy as part of the staff assigned to Commander, Littoral Combat Ship Squadron One (COMLCSRON ONE) supporting the country’s most versatile combat ships. 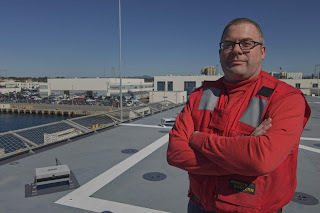 Senior Chief Petty Officer Jason Fechner is a hospital corpsman serving with Commander, Littoral Combat Ship Squadron One based in San Diego, California. A Navy hospital corpsman assists in the prevention and treatment of disease and injury, and assist health care professionals in providing dental and medical care to Naval personnel and their families. "I have the honor to lead, teach and guide our Fleet IDC’s so that we can ensure that we have the most qualified and highest trained who are mission ready at all times," Fechner said. Fechner credits success in the Navy to many of the lessons learned in Porterville. "The small town atmosphere taught me to enjoy life and cherish your friendships while working hard for others," Fechner said. Though there are many ways for sailors to earn distinction in their command, community, and career, Fechner is most proud of attaining the rank of chief petty officer. "It has given me the opportunity to lead and mentor sailors and junior officers and make an impact on the Navy as a whole," Fechner said. "HMCS Fechner is an influential leader that not only cares for the sailors around him, but is driven to supporting the waterfront as his number one priority," said Chief Hospital Corpsman Justin Cayetono, COMLCSRON ONE. Fechner has military ties with family members who are serving and is honored to be the first to carry on the family tradition. 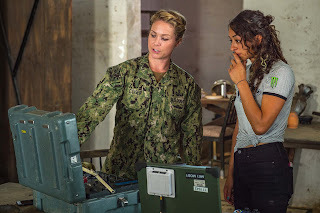 "My great-grandfather was a chief in the Navy during WWII and both my grandfather and father served in the Navy as a construction mechanic and machinist's mate," Fechner said. As a member of one of the U.S. Navy’s most relied upon assets, Fechner provides a critical component of the Navy the nation needs. "Serving in the Navy means the world to me," Fechner said. "My family has served in the Navy since WWII and now it's my turn to serve my country and continue to pave the path. I have been in over 20 years and would not change anything at all."